If you missed this dog-related article in Slate about the rigors you can go through these days in adopting a “rescue” dog, you might enjoy it. Author Emily Yoffe has a wonderful sense of humor. Back in the 1970s we adopted a lab mix from the Palo Alto pound, basically by walking in their, picking her out, and leaving with her. More recently, I went in with my little boy to try to adopt a bunny, and the process was somewhat different. I have had rabbits in the past and am actually fairly knowledgeable about them. We went through the whole interview process, and it was pretty funny that they wouldn’t let me have the bunny until they spoke with my husband on the phone to confirm he was on board. They were kind enough to to give me a pass on interviewing my teenager though! The bunny is living happily in his own enclosure in our backyard. 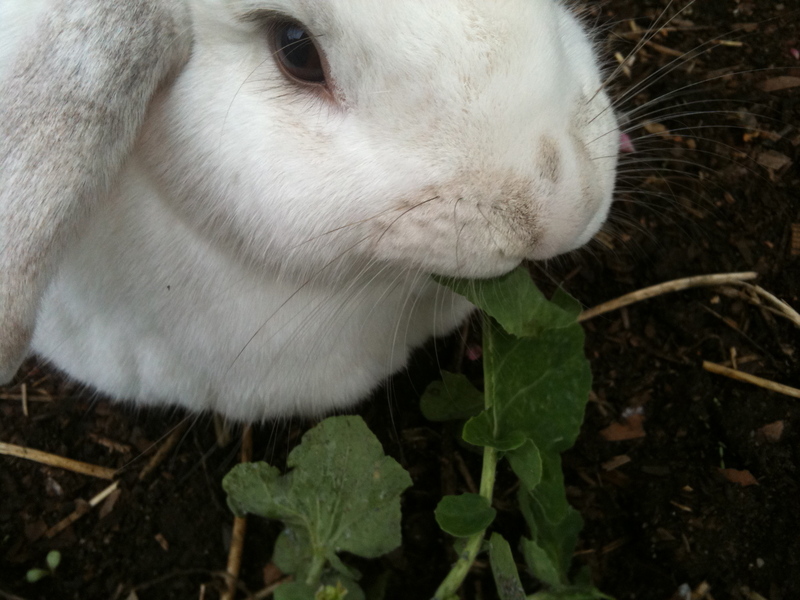 On the plus side, he was already tame, and came neutered and microchipped, which is pretty fancy for a bunny. On a related note about the Palo Alto animal shelter, it’s a great place to get your dog or cat’s shots done. They have a weekly shot clinic on Wednesdays from noon to one p.m. that is inexpensive and convenient. “No appointment is necessary, but please call before coming to one of the weekly vaccination clinics, to confirm that one will be held on that particular Wednesday.” More info here on the Palo Alto animal shelter’s site.